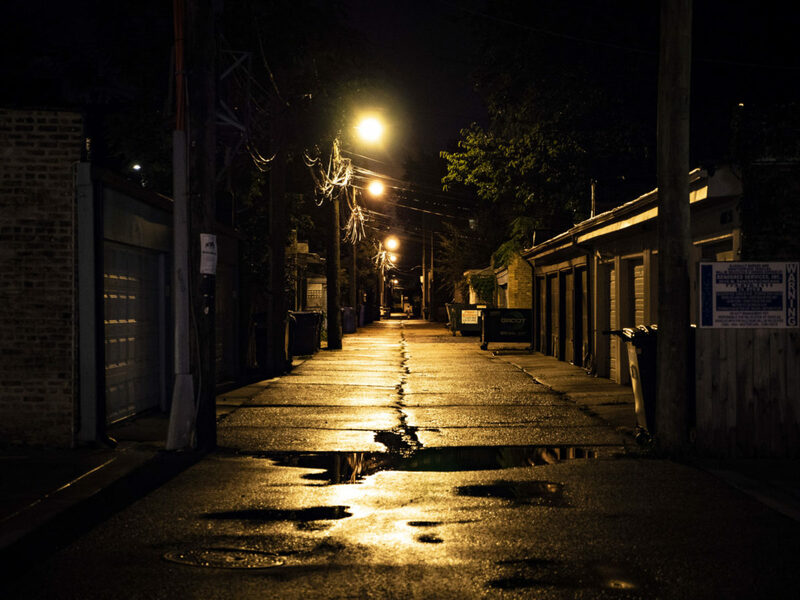 Owen Connor | The Phoenix A Loyola student trying to enter her apartment was beaten and robbed near this alleyway behind N. Lakewood Avenue at night last week. She suffered a head injury and questions why Campus Safety didn’t send an email notifying fellow students. The student, senior Lizzie Mullins, 21, was walking home on North Lakewood Avenue from her friend’s apartment near Loyola’s Lake Shore Campus around 2:30 a.m. Sept. 17. She crossed West Devon Avenue and continued south down Lakewood to her front door. Although her memory is hazy, that’s when three men attacked her, she told police. She doesn’t remember much after that. She was struck in the head and knocked to the ground in the alleyway between her apartment and next door, according to police. Mullins suffered a head injury and ended up covered from her head to legs in blood and bruises. The offenders took her cell phone, purse, wallet and more — all her personal belongings. Eventually, Mullins made it inside her apartment. Gazing in the mirror, still in shock, she finally realized her face, shirt and jeans were covered in blood. Chicago police and Campus Safety both responded, according to CPD News Affairs Officer Hector Alfaro and Campus Safety’s media log. Mullins’ roommate called, she said. Alfaro said Mullins went to Presence Saint Francis Hospital in Evanston after the attack. Hundreds of Loyola students live on streets north and south of Devon. But a crime alert email was never sent to Loyola students and staff. Taylor Perez, a Loyola junior studying communications, said she uses that alleyway behind Lakewood frequently. “It makes me pretty scared, not going to lie, because I live around here,” Perez, 20, said. Sophomore Veena Sundar, 19, lives in the area and also wasn’t aware of the attack until The Phoenix told her. She said she thinks students should have been informed by Campus Safety. What Mullins said is that Campus Safety told both her and her parents that, since the incident happened off campus, it didn’t need to report it. 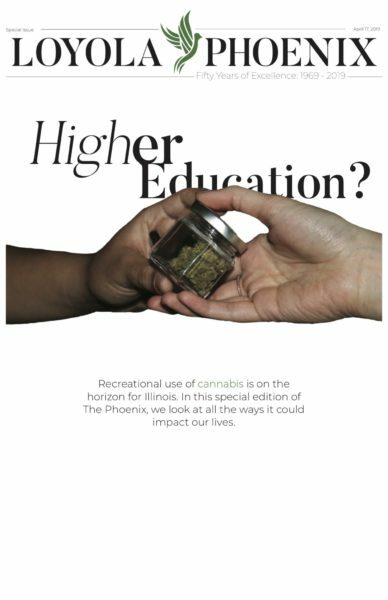 The Phoenix asked Campus Safety Chief Officer Thomas Murray for comment, submitting a list of questions. He didn’t respond. Instead, university spokeswoman Sarah Howell sent a statement, saying CPD is investigating — a question The Phoenix both didn’t ask and didn’t need answered. For Loyola, “Clery Act geography” means any area on campus or adjacent to campus. But Campus Safety’s patrol boundaries extend about half a mile around the Lake Shore Campus west from Lake Michigan to North Glenwood Avenue and between West Pratt Boulevard to the north and West Glenlake Avenue to the south. The attack and robbery occurred within those boundaries. However, because the robbery occurred outside the Clery geography, Campus Safety isn’t required to report it to students, Murray wrote in a new statement. “The incident in question occurred outside of Clery Act geography requirements and is being investigated by CPD who can provide more information on the case,” Murray said. Alfaro said the three men responsible are still at large and that detectives in the area are investigating. Source: A Phoenix five-year analysis of crime data. 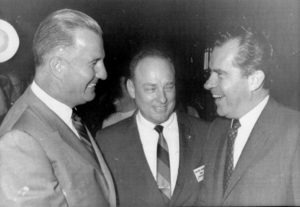 This isn’t the first time Campus Safety’s crime alert policy has come under scrutiny. While Campus Safety has said it hasn’t sent alerts in the past because the crime either didn’t involve a Loyola-affiliated person or the offender was arrested, those don’t seem to be factors this time. Another student who lives nearby, 21-year-old senior Bret Naanep, was also unaware of the attack but said he believes students should’ve been alerted. “With the amount of students who live around here … [Campus Safety] definitely should’ve sent something out,” Naanep said. Naanep also said he thinks Loyola’s image might’ve factored into the decision not to alert students. 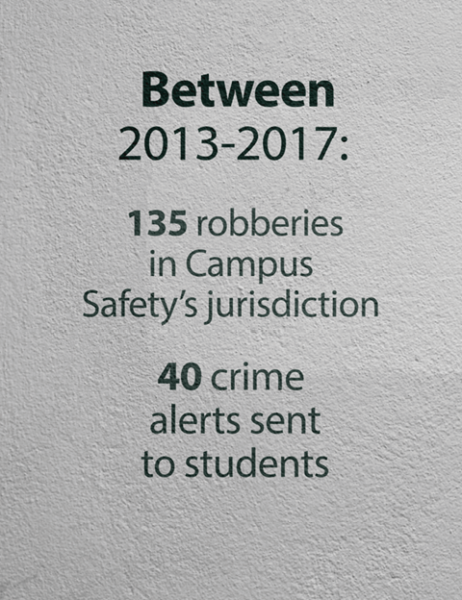 The number of violent crimes reported to Campus Safety far exceeds the number of alerts sent to students and staff. Between 2013-17, 135 robberies were reported to either CPD or Campus Safety within Campus Safety’s jurisdiction, The Phoenix found. In that same time, students have received about 40 crime alerts for armed robberies and batteries. The Phoenix also found that violent crimes near campus don’t even get solved by CPD a vast majority of the time. From January 2015 to late November 2017, fewer than one in five robberies near Lake Shore Campus were considered solved by CPD. The Phoenix has previously reported inconsistencies in Campus Safety’s public police logs as well. Crime reports Loyola’s cops claimed to have turned over to CPD often didn’t appear in CPD records, a Phoenix investigation last November found. Murray has said CPD often shares information with Campus Safety regarding incidents that only Chicago police respond to in the area, yet an analysis of five years of crime data showed Campus Safety and CPD only shared around 60 of nearly 1,000 crimes. Campus Safety also failed to properly log a shooting near campus last September. It took more than a month for a record of the shooting to appear in Campus Safety’s logs, despite the fact that it was witnessed by students and Campus Safety officers wrote down one student’s account of the incident. The department blamed that error on a software update. Clery mandates that Campus Safety maintain a publicly accessible log of all crimes reported to its officers. The department must also log the incidents within two days of it being reported unless it’s part of an ongoing investigation. Clarification: This story has been updated to reflect a more accurate account of Mullins’ route home. She walked down Lakewood and crossed Devon, not west on Devon, turning onto Lakewood.